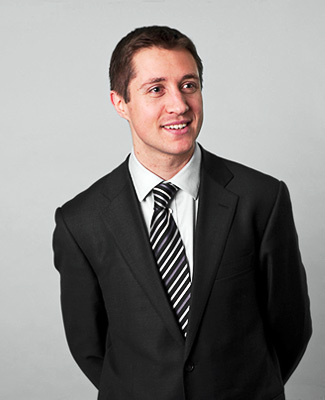 Henry’s practice focuses on the financial consequences of divorce and the breakdown of cohabiting relationships, as well as financial disputes relating to children or incapacitated adults involving the Court of Protection. He is a tenacious advocate with a keen eye for detail and a thorough understanding of business and finance. Henry is known for his technical understanding of corporate financial structures, and is in demand from clients seeking a barrister with a good understanding of the commercial world. Before being called to the bar, Henry worked for a commercial law firm. He regularly represents clients in cases with international dimensions and has a comprehensive understanding of multi-jurisdictional disputes (including Part III of the MFPA 1984). He was junior counsel in the reference to the Court of Justice of the European Union on the operation of the lis pendens provisions in the Brussels IIA regulation, reported as A v B C-489/14. In AAZ v BBZ  EWHC 3234 (Fam) he was junior counsel for the Wife who was awarded over £450million. At time of writing, this is the largest ever reported matrimonial finance award. In addition to matrimonial and civil partnership financial cases, Henry advises and represents unmarried couples and parents in relation to financial disputes. He also has considerable experience in more unusual financial matters such as child maintenance appeals, insolvency, varying foreign court orders and costs cases. Away from work Henry is a keen tennis player and footballer. Family finance junior who handles a range of matters including maintenance orders and Schedule 1 cases. He routinely services high net worth clients in financial remedy proceedings and is commended for his grasp of complex issues. Up-and-coming family finance junior who handles matters including maintenance orders, Schedule 1 and CSA appeals. He routinely services high net worth clients and is commended for his grasp of complex issues despite his junior level of call. He has experience of handling matters involving incapacitated adults. Up-and-coming family finance junior who handles matters including maintenance orders, Schedule 1 and CSA appeals. He routinely services high net worth clients and is commended for his grasp of complex issues despite his junior level of call. Recent work: Featured in a case in the ECJ concerning the meaning of the word ‘established’ in the Brussels IIA regulation.